Oh, the lazy dogdays of summer. Some wish it would last forever but it won’t be long before autumn leaves begin to fall. As the seasons change, do you find yourself craving a change to your indoor decor? 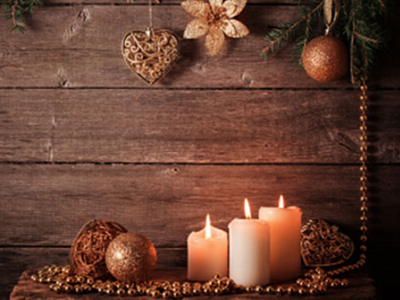 Seasonal decorating is fun and much easier than you think. And to make it effortless, we have some unique home decor picks to make the transition as easy as a summer breeze. 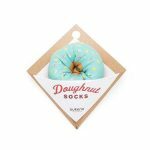 Scroll down to see this month’s unique home decor picks that will easily transition into fall. As the days get shorter, why not invite some light to your outdoor spaces? 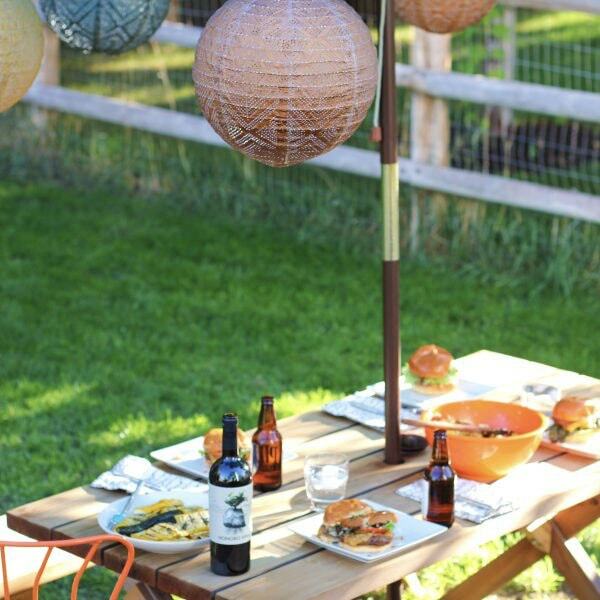 The Soji Stella Market Lantern brings a warm atmosphere to your garden or patio. Made from a durable material designed for year round use, the solar-powered LED lamp is a unique home decor accent that embraces every season. When temperatures drop and falling leaves cover the ground, what could be better than snuggling under a warm blanket? When looking for unique home decor items, you’re your eye out for a one-of-a-kind throw blanket. 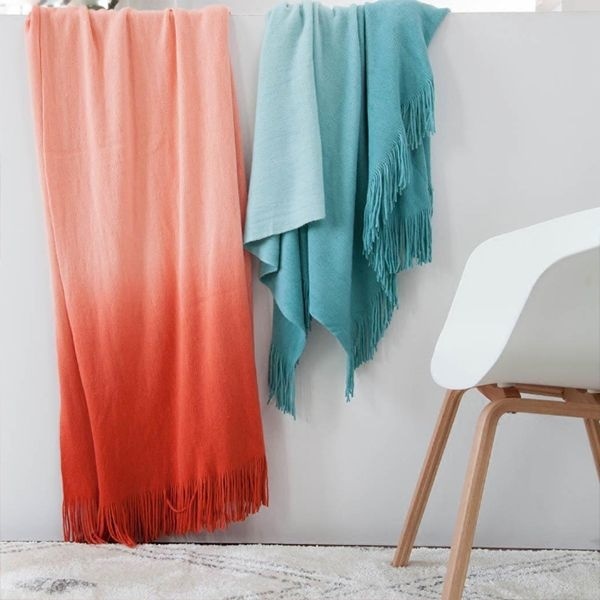 This comfortable and colorful Ombre Throw Blanket With Fringe will that will add a layer of cozy and bring a pop of color to any space. It’s bright colors easily transition from a fun summer décor theme to a relaxed fall atmosphere. One decorating trend that’s growing is to experiment with bold colors. If you want to keep up with the trends but don’t want to invest in new paint or furniture pieces, then update your home rug. 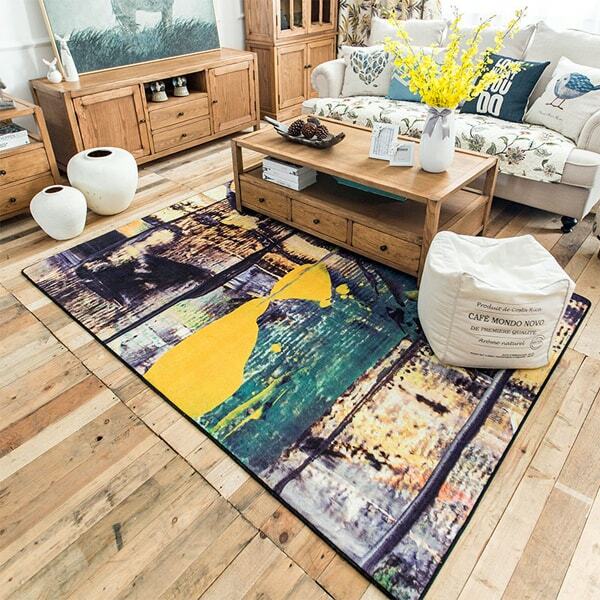 A statement rug is a unique home décor pick that will complete any room. The Abstract Accent Rug sets the stage for a brave new world of hues while adding softness underfoot. 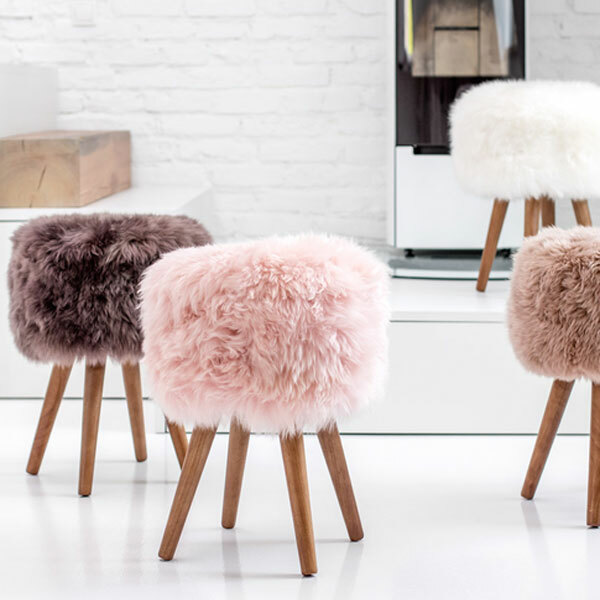 If you’re looking to add layers of texture with unique home decor accents to your home collection, then indulge your creature comforts with this New Zealand Sheepskin Stool. 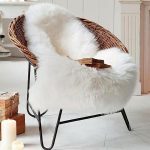 This luxurious chair is a plush perch with a quirky midcentury look. It will steal the show in the living room, a home office or a bedroom. Does the change in seasons have you longing for the beach? Well then break the rules and have beachy home décor all year long. 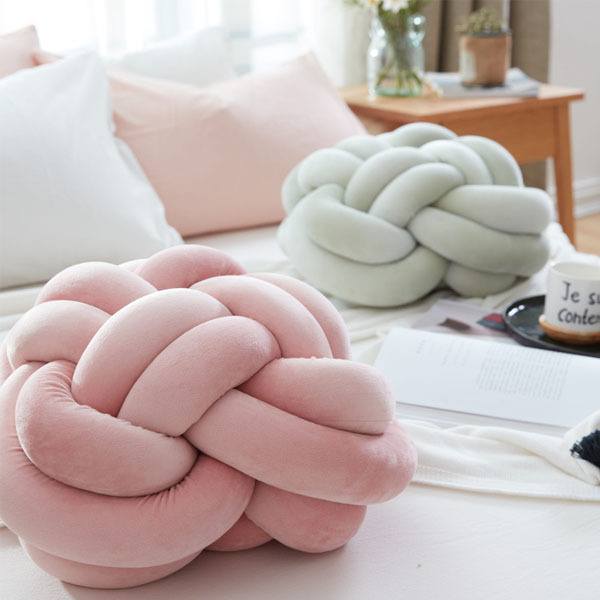 Get the look with our Knotted Pillow Cushion. Its nautical knot is the perfect topper for your sofa or bed. As fall approaches, the evenings get darker. 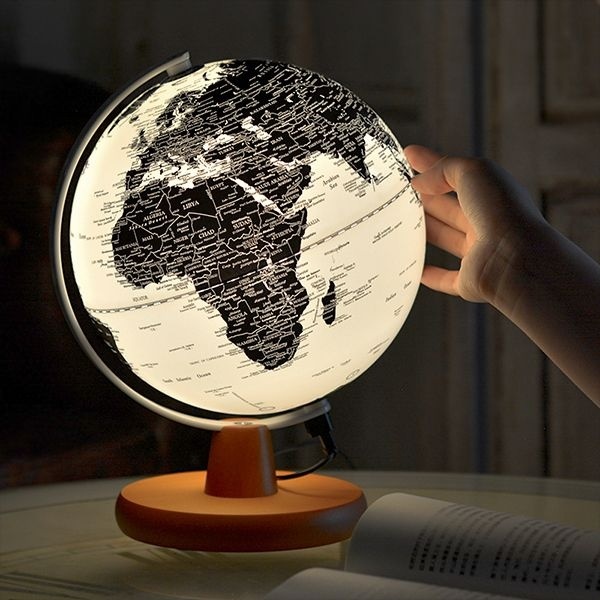 Light up your part of the world with our LED World Globe Light. 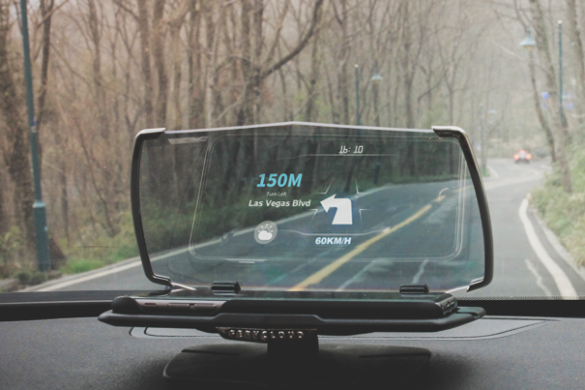 This globe is the modern version of your grandfather’s old World Globe. 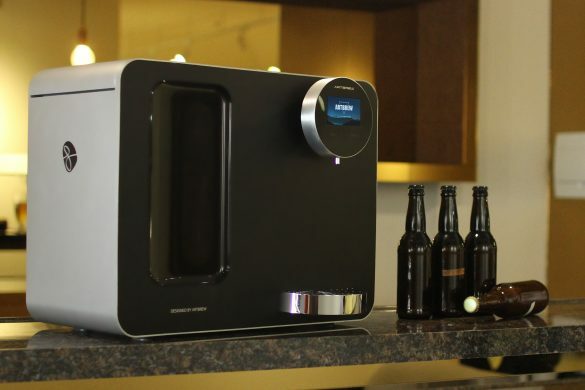 It adds a warm light to any room and will prompt you to start planning a new adventure. What about when sunny days turn to rainy days? 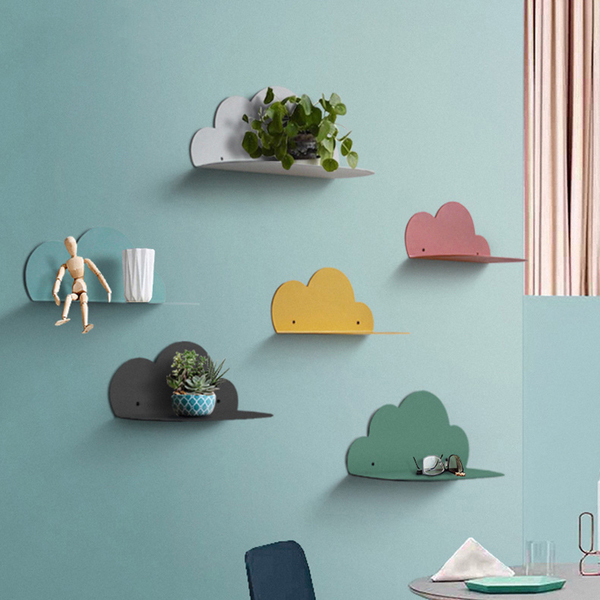 Nothing brightens up a corner like the Metal Cloud Wall Shelf. Shelving is a fun way to display your favorite collectibles. It’s also a great way to fill empty wall space. When it comes to bathroom decor, most of us tend to choose function over fun. These Art Deco Bath Storage Shelves combine fun with function. They feature dynamic words like LOVE and LIVE. They’ll put you in a good mood while providing a practical home for your bath and beauty products. 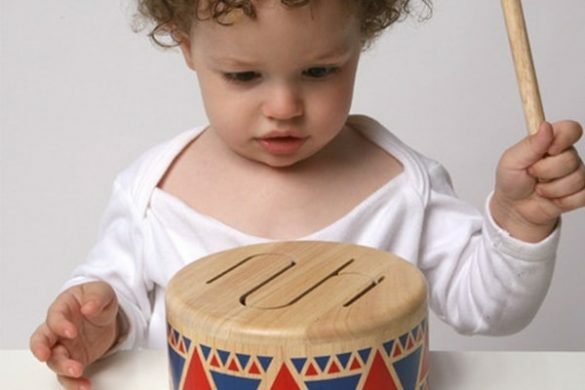 Want an easy way to bring life into your favorite spaces? 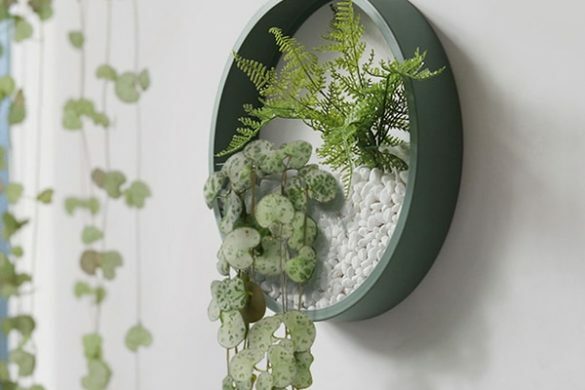 Top your shelves with a touch of greenery. You won’t need a green thumb to grow plants in this Good Morning Planter. 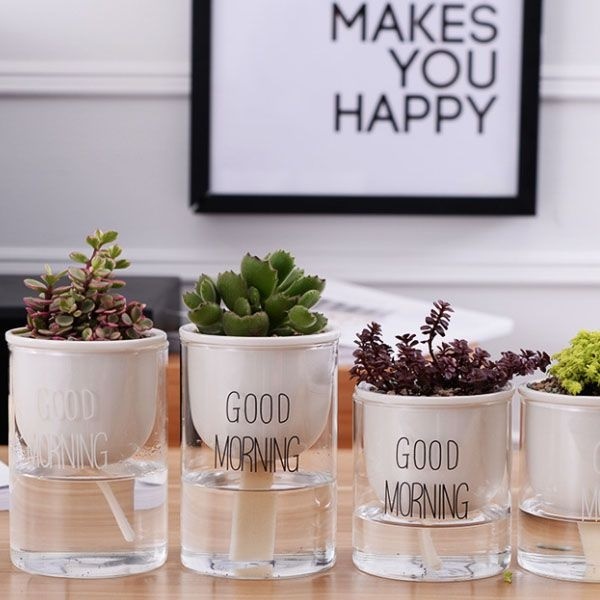 The stylish white ceramic and glass planter is self-watering, so every morning will be a good morning! Another functional bath piece that can have a huge effect on your bathroom’s décor theme is a bath mat. This Decorative Diatom Bath Mat is a unique home décor bath piece that will make you smile every time you look down. 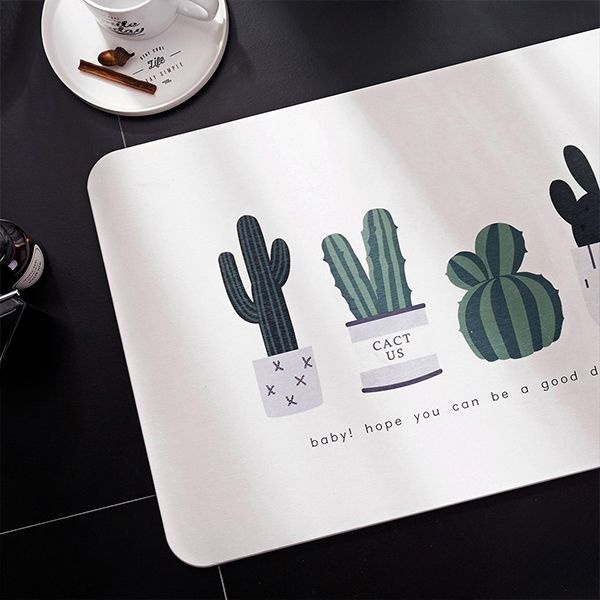 Made from water-absorbing diatomite, this fast drying mat is the ideal anti-slip surface for a shower or entryway. Making a house a home is all about unique home decor touches that personalize your space. 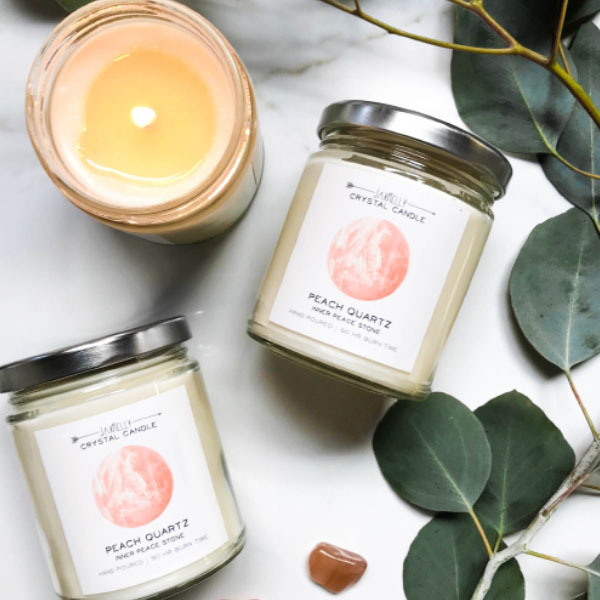 Scented candles freshen the air and elevate your vibes. Choose something with a delicate scent to subtly set the mood. Our Crystal Candle brings a warm ambience and comes with a crystal hidden inside. Nothing enhances a room quite like a floral arrangement. This Preserved Flower Diffuser beautifies without the worry of watering. 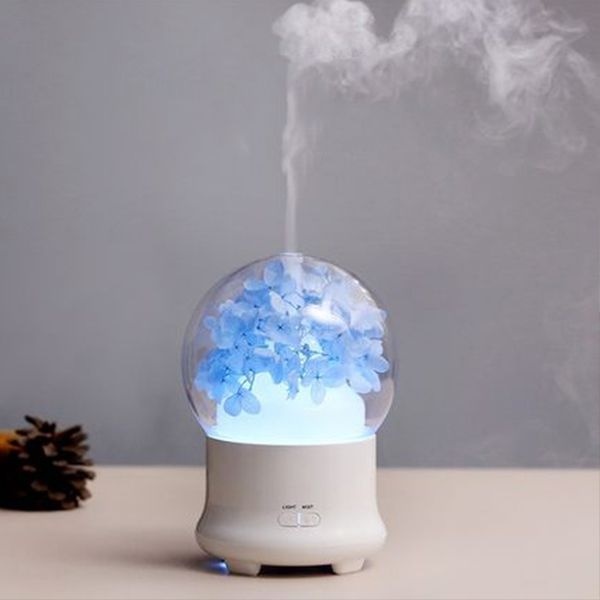 Filled with real preserved flowers, it freshens and humidifies indoor air and lights up the night with soothing colors. A perfect pick for sprucing up your nightstand display. 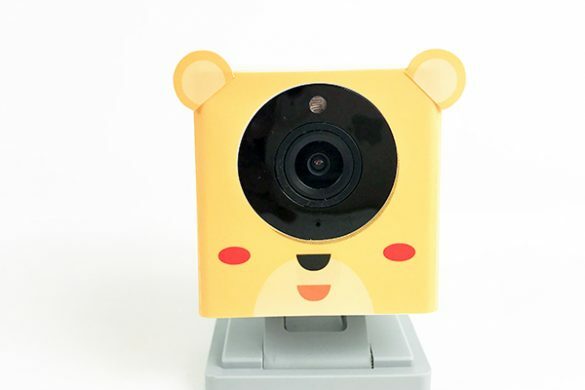 Want more unique home decor ideas? 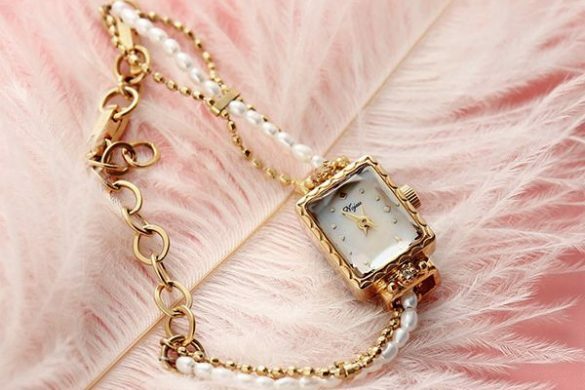 Visit the Apollo Box home decor gallery for clocks, wall decor, candles and more!